HATE CRIME LAWS have been in the news on multiple fronts this week. + In Charleston, S.C., jurors in federal court Tuesday sentenced Dylann Roof to the death penalty after deliberating for just three hours. Roof, a 22-year-old white supremacist who murdered nine black parishioners at Charleston's Emanuel AME church in 2015, was convicted last month on 24 federal hate crime charges. + In Chicago, four young black men and women have been charged with Class 4 hate crimes, as well as with counts of aggravated kidnapping and aggravated battery assault, after abducting and torturing a mentally impaired white teenager, all the while livestreaming their attack on Facebook. + In Washington, the Senate Judiciary Committee opened confirmation hearings on Senator Jeff Sessions, Donald Trump's pick for attorney general. Session's approval is likely, but one argument urged against him is that he opposed the Hate Crimes Prevention Act of 2009, which made sexual orientation and disability protected categories under federal hate crimes law. Though they've been in effect since the 1990s, hate crimes statutes have always been constitutionally and morally unsound. At best they are a symbolic declaration that crimes inspired by certain types of bigotry are especially odious. At worst they are a vehicle for grandstanding prosecutors eager to make a political point. Either way, they should disturb anyone who believes criminals ought to be punished for their harmful actions, not for their ugly opinions. To grasp how gratuitous hate crimes prosecutions can be, look no further than Roof's case. The Charleston mass-killer is a depraved monster; the day he is put to death, America will be a better, cleaner place. But there was no need for a federal trial to achieve that salutary end. South Carolina's criminal-justice system was willing and able to do the job. Immediately after Roof's bloodbath, Charleston County Solicitor Scarlett Wilson charged him with nine counts of murder; she later said South Carolina would seek the death penalty, and urged that he be tried in state court first. But the state's legitimate interest in bringing Roof to justice was muscled aside by the federal Justice Department, which emphasized its desire to make Roof's race-hatred an explicit centerpiece of the trial. The Emanuel AME butchery "directly fits the hate crime statue," federal investigators told The New York Times. "This is exactly what it was created for." There was no danger of Roof getting away with murder. But Washington wanted to federalize the case to spotlight the defendant's beliefs. Those beliefs, revealed in Roof's website, his Facebook page, and a handwritten screed composed in jail, are beyond nauseating. But no opinion of his could be more nauseating than nine pitiless murders. Had he never raised a hand against anyone, Roof's hateful views would be fully protected by the First Amendment. Conversely, had he murdered nine people in cold blood not because of their race or religion, but simply because he craved publicity or wanted a thrill or was trying to impress a gang, he would still have been tried for capital murder and be facing execution. In other words, all the "hate crime" component accomplishes is more attention for Roof's horrific (but not illegal) opinions. Wasn't that just what he wanted — a platform for his racial animosity? Wouldn't it have been far better to give Roof's racism as little attention as possible, and to concentrate solely on his devastating crime? 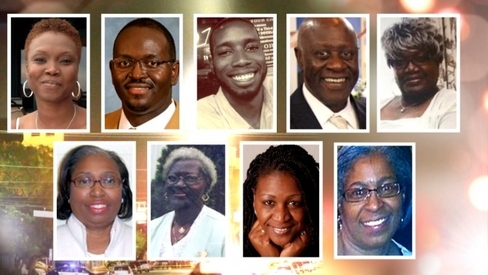 The nine Emanuel African Methodist Episcopal Church members murdered by Dylann Roof during a Bible study class in Charleston, South Carolina. The same is true of the four thugs in Chicago. Yes, their video showed them spewing racist epithets and mocking the victim's disability. But in the eyes of the law, the attackers' opinions should matter not at all. It is their cruel acts of abuse — the gagging, the beating, the cutting, the stealing, the threatening — for which they should be tried and punished. If the victim had been black, would his torture have been less horrible? Hate crime laws are now part of the legal landscape, but conservatives like Sessions weren't alone in opposing them. Many civil libertarians have warned consistently that such laws criminalize beliefs. Former US Senator Russ Feingold, an ardent liberal, spoke against them during a 1993 congressional debate, pleading with his colleagues to "pause before we start sentencing people not on the basis of the viciousness of their act or actual harm, but based on what they might have been thinking when they did the act." Society has a duty to punish a criminal's evil deeds. But there is never a duty to punish a criminal's thoughts, no matter how evil they may be. If you don't rent to criminals, are you a racist?